Alan LaVern Bean (March 15, 1932 – May 26, 2018; CAPT, USN, Ret.) 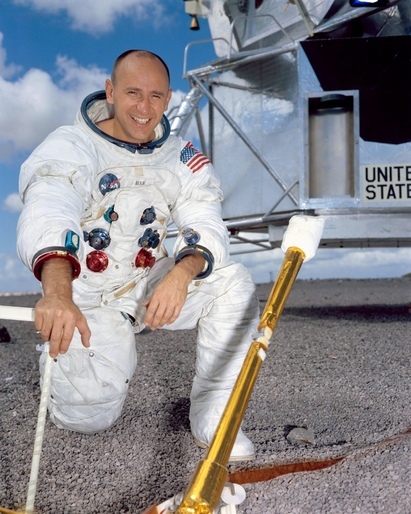 was an American naval officer and naval aviator, aeronautical engineer, test pilot, and NASA astronaut; he was the fourth person to walk on the Moon. After retiring from the United States Navy in 1975 and NASA in 1981, he pursued his interest in painting, depicting various space-related scenes. Celebrate his life by posting a comment or pic to this Collective Memory.